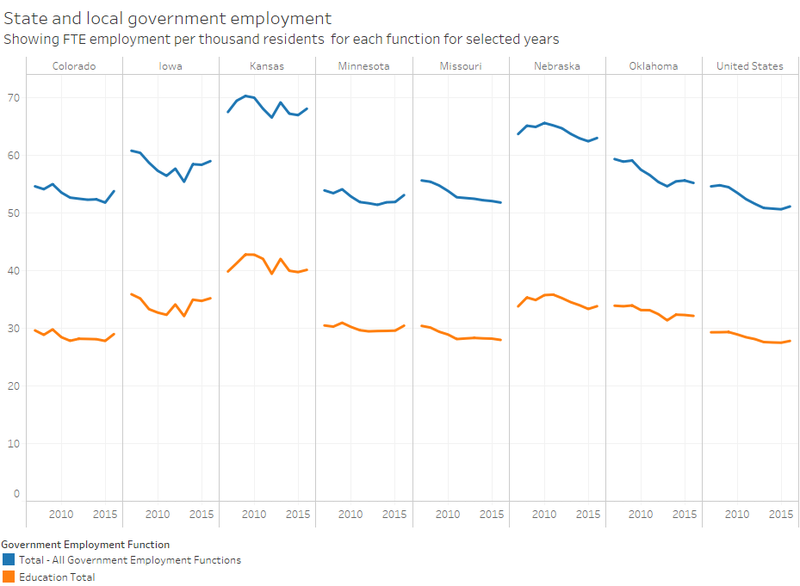 Kansas has a lot of government employees when compared to other states, and especially so in education. Considering all government employees — state and local — Kansas has 68.35 full-time equivalent (FTE) employees per thousand residents. Only two states and the District of Columbia have more. For total elementary and secondary education employment, Kansas has 30.64 such employees (full-time equivalent) per thousand residents. Only two states have more. Looking at nearby states and some Plains states commonly thought to be big spenders (Iowa and Minnesota), Kansas has more employees and more education employees, again on a per-resident basis. This data comes from the United States Census Bureau. I’ve gathered it and present it in an interactive visualization. Click here to learn more about the visualization and to use it yourself. 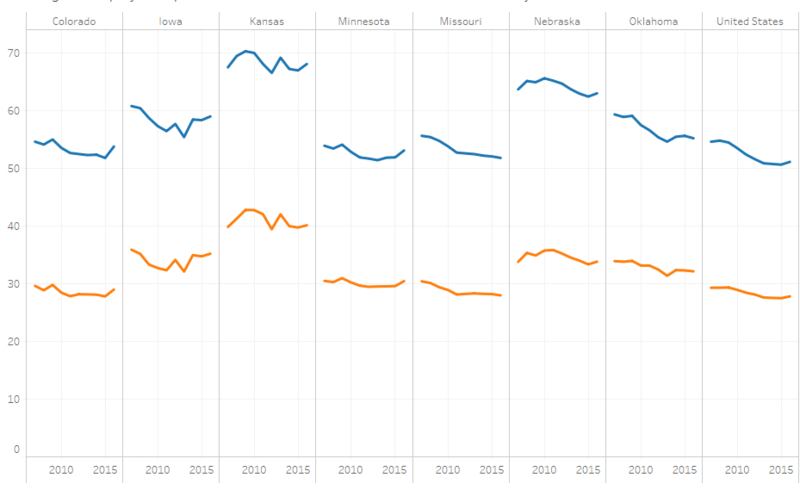 Example from the visualization, showing Kansas and selected states. Click for larger.